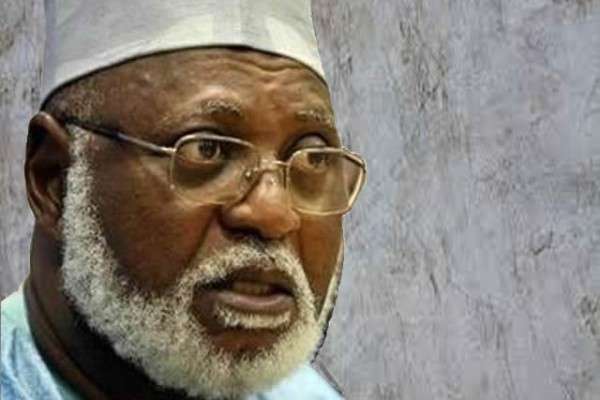 Former Head of State, Gen. Abdulsalami Abubakar, has advised Nigerian leaders to stop the ongoing infighting among them and face real business of governance, which is expected of them. General Abdulsalami said Nigeria leaders must rise up to the challenges of good governance and make life better for ordinary man on the street rather than engaging one another in a fight, which has no direct bearing on the electorate who voted them into office. The former head of state, who spoke in Minna, yesterday, shortly after he joined thousands of Muslim faithful to observed the Rakkat prayers at the Minna praying ground, to mark this year’s Eid-el-Kabir celebration, said what Nigerians need from their leaders was good governance and not infighting. He, therefore, urged them to get together and think for the country and what is good for the citizens they are leading. “This bickering between the leaders will not do us well. I hope they will get together and understand that there should be ‘give and take’,” he said. On the 2019 general elections, the former military leader admonished politicians to shun do-or-die politics, as according to him, they should be more focused on serving the people. He also urged Nigerians to get their permanent voters card and vote for the leaders of their choice. According to him, this is the only way Nigerians can participate in governance. “I call on Nigerians who are yet to collect their permanent voters card to take advantage of the ongoing continuous voters registration to do so. Let them vote for their choice leaders, so that they do not end up biting their fingers in regret after the election. This is the only chance they have to vote the leaders of their choice,” General Abdulsalami said. Also speaking, Deputy Governor of the state, Alhaji Ahmed Mohammed Ketso, urged the people of the state to use the two weeks extension grace by the Independent National Electoral Commission (INEC) for the voters registration exercise to go and register and obtain their Permanent Voters Cards (PVCs). He said it’s only by doing so that the people can participate actively and elect leaders of their choice at all levels. The Rakkat prayers were performed by the Chief Iman of Minna Central Mosque, Mallam Isah Fari, with an appeal to Nigerians to be law-abiding and remain peaceful as no meaningful development can achieve in an atmosphere of uncertainty. It is over for the enemy in this natives territory of Disintegrated Republics.